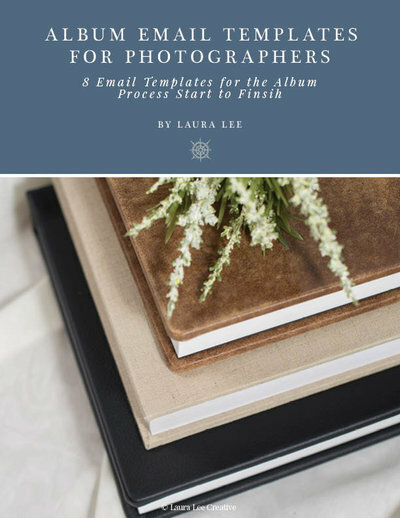 These free resources and products were created so that photographers and creative entrepreneurs can build a successful and profitable business while leading a fulfilling life. Grab a cup of tea, (or wine) and be ready to work less, make more and live fully. My aha moment with the idea of balance and "working smarter" started with The Rising Tide Society. I quickly realized that creative entrepreneurs were in serious need of a way to find work-life balance. So that not only could they find more time for their relationships and other passions, but that they would be able to remember and enjoy why they started their businesses in the first place. So that they could build their businesses without sacrificing the important things. Like family. And friendships. And self-care. That’s why I created these products. So that creatives can intuitively and easily input processes, systems, workflow, and organization into their small businesses—giving them hours of their life back and opening an entirely new world to them. These workflows, systems, and templates are all designed to save you TONS of time while elevating your client experience. 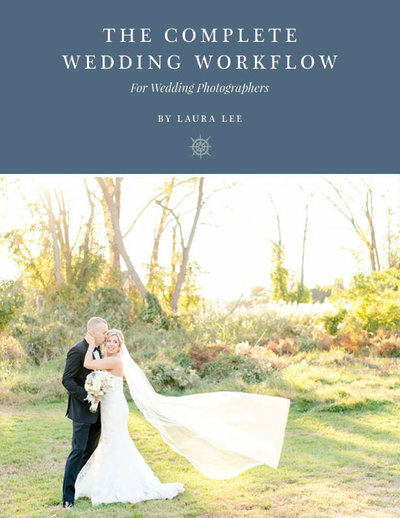 A complete, step-by-step wedding workflow and systems manual for photographers who are ready to get their life back. I’m talkin’ everything from importing cards, to delivering the album, broken down by day so that your post-production is streamlined, efficient, and painless. 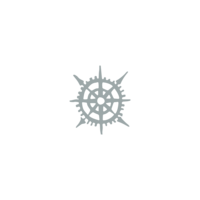 This master manual includes a list of 61 resources (apps, chrome plugins, softwares, etc. ), 8 export presets with full settings, a recommended outsourcing list, 107 tasks to the post production workflow including the procedure for each one, and 39 efficiency tips. All in a gorgeously-designed, 135-page playbook. It will change the way you do business; igniting freedom, balance, and a renewed passion for your work while saving you time and making you more money through an elevated client experience. Struggling with consistent bookings? Or maybe just the right bookings? It might be because your marketing isn't up to par. After all, you're a photographer, NOT a professional marketer. If your ears are perking up, I have the solution. 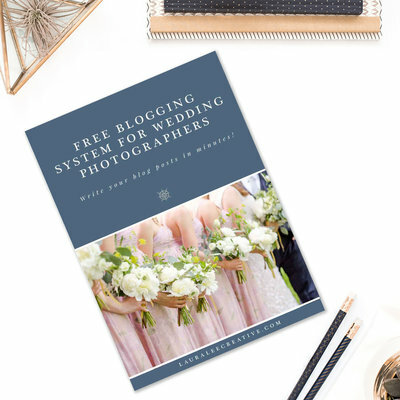 Learn all the marketing secrets that I used in my business to grow from 6 weddings in 2014 to 28 weddings (and 6-figures) in 2016. 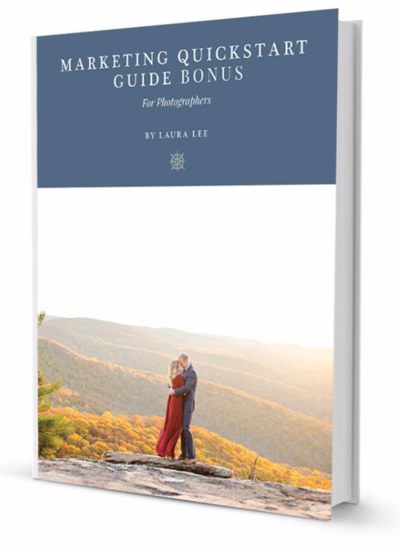 The marketing quickstart guide for photographers! - 75 Marketing ideas and strategies explained. - Increase your inquiries, bookings, exposure and the demand for your services so you can raise your prices. - 8 chapters of content covering everything from cold leads, client experience, booking inquiries, brand strategy, vendor marketing, social media strategy and more. - Bring your business to the next level, faster! - Take action checklists so you know exactly what to do! This complete wedding workflow leads you from client inquiry, all the way through wedding album delivery. 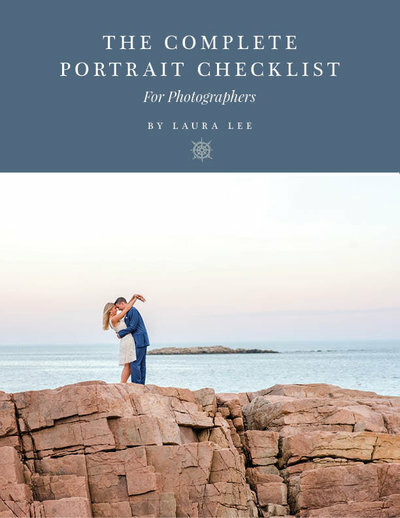 This is my guide to making sure all the preparation that needs to happen before the wedding gets completed so that the wedding day goes as smoothly as possible. The result? Every client will get the same wonderful attention and care they deserve and you’ll be confident that you’re giving them a great experience. The workflow includes nearly 150 steps including everything from what emails need to be sent to clients, to vendors, and every step of the post production process. This workflow is broken down by day into manageable slots of time that won't overwhelm you. This complete portrait workflow leads you from client inquiry, all the way through gallery delivery. This is my guide to making sure all the preparation that needs to happen before the session gets completed so that the session goes as smoothly as possible. The result? Every client will get the same wonderful attention and care they deserve and you’ll be confident that you’re giving them a great experience. The workflow includes nearly 90 steps including everything from what emails need to be sent to clients, down to every step of the post production process. This workflow is broken down by day into manageable slots of time that won't overwhelm you. Communication with your clients doesn’t end when the wedding is over. This is the time you need to really wow them with your organization and delivery. 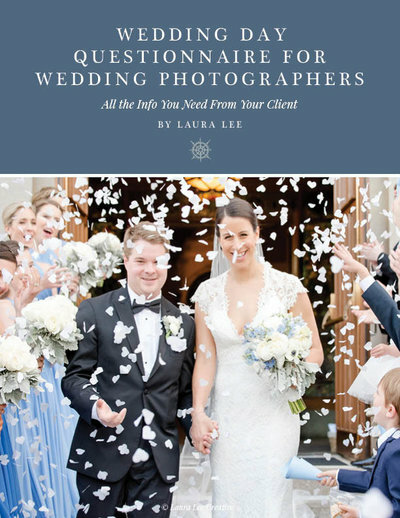 Educate your clients on what to expect with the delivery of images, coach them through ordering products and finalizing their album (and offer new products or collection upgrades to them), share galleries with vendors and leave the entire wedding team talking about you. Once you have this information- writing blog posts and social media posts that actually CONNECT with an audience will be a breeze. Ever get home from a wedding and realize that you forgot to take a shot of the Bride with her Grandmother? Or a shot with all her siblings? Coming up with the entire family shot list can be daunting. Especially when there’s a ton of siblings, spouses, nieces, nephews and grandparents to include. 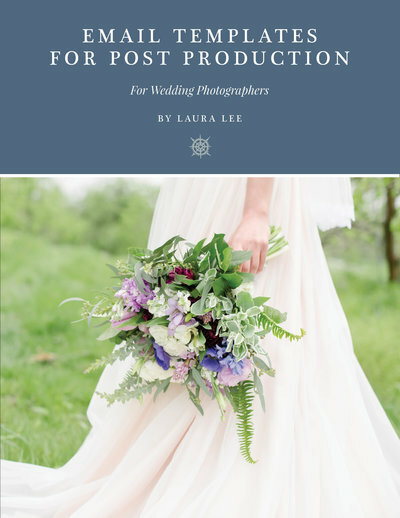 This shot list covers every combination of family formals you could possibly have and is provided in a PDF and a Word document so you can quickly input your couple’s family members names into the appropriate place. This will enable you to be done with the shot list in a matter of minutes. Wow your couples by doing this for them and then send it to them for review so it’s one less thing they need to think about. This has blown away my clients again and again. 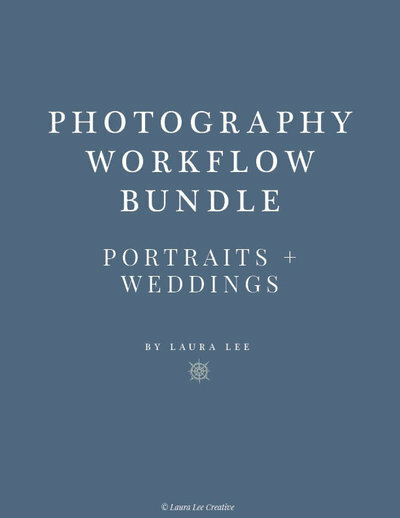 Get all the magic from the wedding workflow and portrait workflow in one discounted bundle! Save $15! - 9 chapters of content covering everything from cold leads, client experience, booking inquiries, brand strategy, vendor marketing, social media strategy and more. 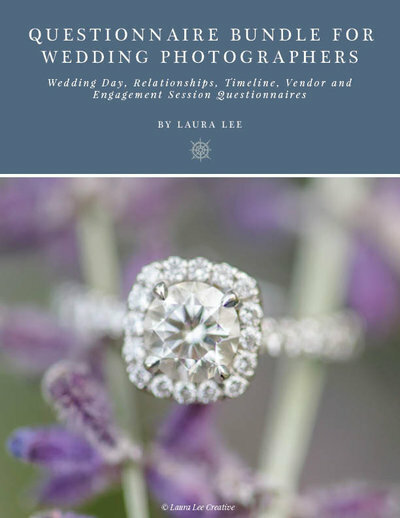 -The Wedding Day Questionnaire - every question you'll need to ask your clients to cover EVERY aspect of the wedding day and make sure you're organized going into the day equipped with everything you need to know. -The Relationship Questionnaire - get to know your clients on a personal level so you can give them a customized experience! -The Engagement Questionnaire - so you can plan the couples session knowing everything you need about them! Dates, seasons, locations, etc. -The Timeline Questionnaire - Ever have vendors asking you when you need the couple here or there or when to be ready by? 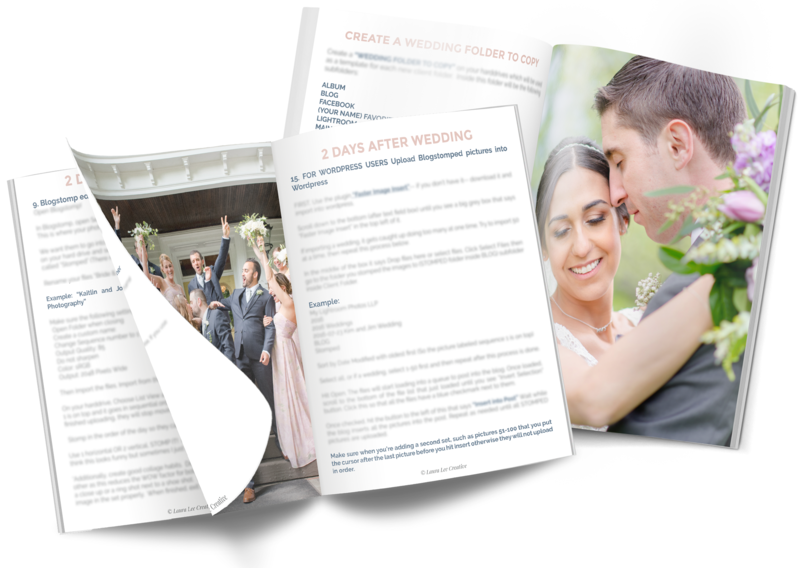 This timeline questionnaire asks all the necessary questions to your couples so you can make a simple preliminary timeline right after they book to hand out to all their vendors. -The Vendor Sheet - collect info from all the vendors so you can give them a great experience too! You'll be equipped with all the contact info you'll need to run the day smoothly, giving them and your couple a great experience! The wedding planning process is overwhelming, involved, and fueled with emotion. You are one of the trusted professionals that the couple is counting on to make their day perfect. As the wedding photographer, I strive to guide them through the entire process from inquiry to engagement session planning to directing family formals to delivering the final gallery. You can educate them through a series on your blog, through email if you have a newsletter list, through a guide branded for your company. Your knowledge is SO vast in this field, so it’s your job to help them through it! 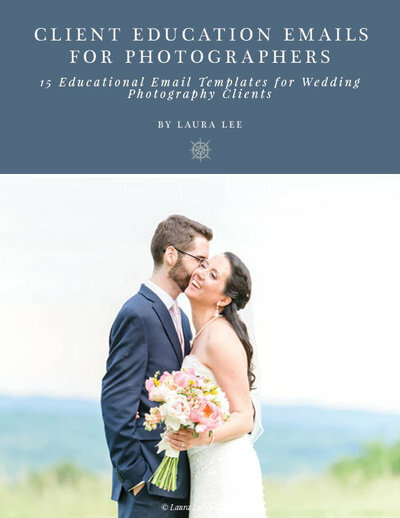 These client education emails include everything from the pros and cons of a first look to what to pack the night before the wedding to what to wear for your engagement session. This bundle of emails will create less work for you answering emails, make your clients feel comfortable and confident in you, and best of all it will take your client experience to the next level. 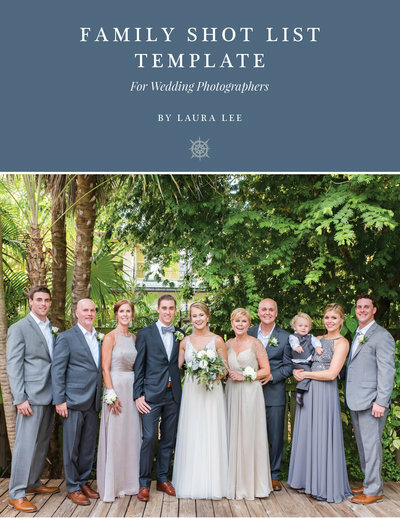 Email templates will not only save you HOURS in your photography workflow but they will also allow you to provide a consistent client experience, every time. 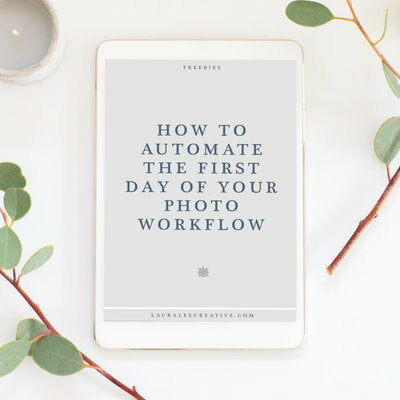 Using email templates will give you more freedom from your inbox and more time to focus on other important parts of your photography business. 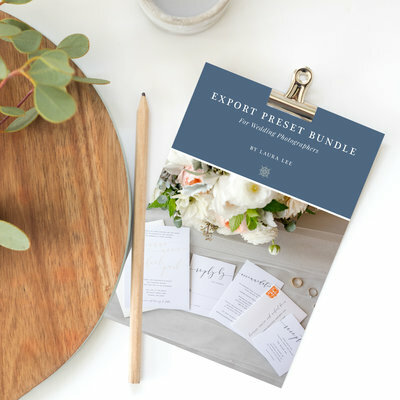 The Wedding Email Templates bundle includes 60 email templates for everything from inquiry to gallery delivery to a final thank you to your clients. 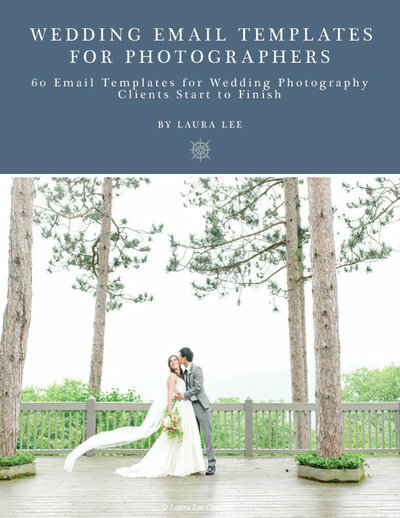 When I first started my photography business, one of the biggest mistakes I made was not having emails templates. I spent too many hours going into my sent box, searching for emails I sent to past clients, copying and pasting them, and then tweaking them for the client I was emailing. I was wasting HOURS a year with this process until I created email templates! The Portrait Email Templates bundle includes 27 email templates for everything from inquiry to gallery delivery to a final thank you to your clients. 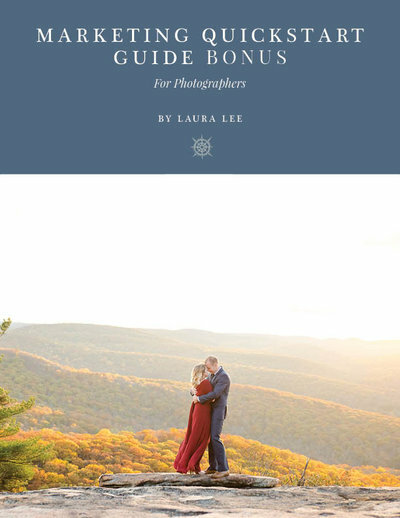 After the wedding gallery has been shared and you've successfully completed another wedding, it is time to complete the album production process with your couple! 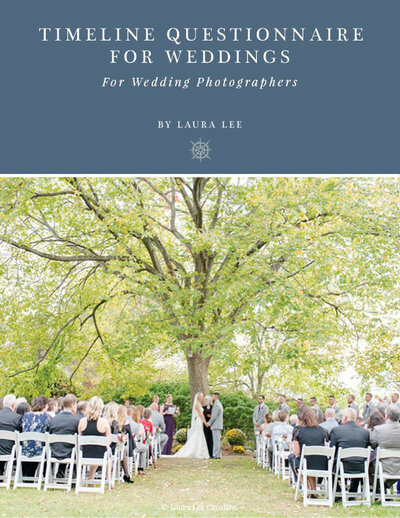 The wedding album is such a valuable, memorable piece of the wedding photography experience. It is important that your clients feel confident in your ability to help create and deliver this lifelong memory. This collection of 7 email templates includes everything for the album production process from start to finish. These templates will save you TONS of time during the album process, give you the opportunity to suggest upgrades, and have your clients raving about you and your business! The engagement session is such a special session for every one of my couples. It is a session all about them – without the distraction of other guests or wedding day duties to attend to. 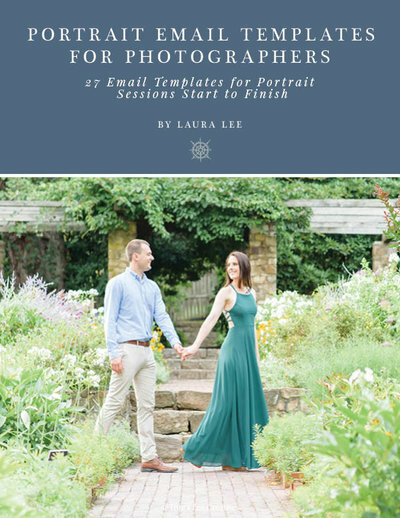 Asking your couples’ these questions before planning their engagement session will not only make the session run smoothly but it will also give them the chance to personalize the session and make it special to who they are as a couple. 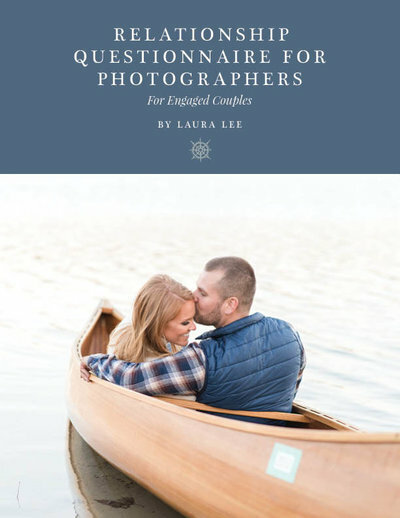 The engagement session questionnaire has all the questions you need to collect to help plan the perfect engagement session for them! It includes questions about the season the couple would like to have their session, whether or not they will be using these photos for save the dates, and special props (or furry friends) they want to include in the session, and so much more that your couples probably haven't even thought about that will make the session so much easier for you! As the wedding photographer, it is critical that you participate in the process of creating and solidifying the timeline for each wedding day. By creating a detailed wedding day timeline, you will be able to coordinate with the couple, their families, and their other vendors to ensure that everything runs smoothly throughout the day. This questionnaire includes all the information you need to know about venue addresses, family member names/relationship to the couple, names and contact information for everyone in the wedding party, ceremony details, reception details, portraits and so much more. 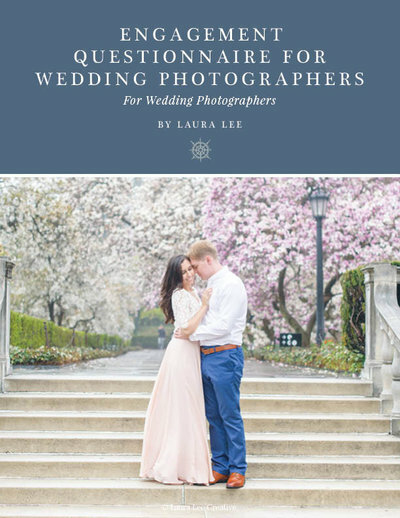 The Wedding Day Questionnaire is by far one of the most important pieces of my wedding photography workflow and is sure to put you and your clients at ease for their big day! COMPLIMENTARY. GRATIS. ON THE HOUSE. These resources are free and ready to help you discover that ‘work-life balance’ is not a myth.